At Custom Built Marine Construction, we focus on the building needs of each client we service. From large commercial marinas to residential docks, our friendly and knowledgeable staff will work with you to design, build and install the project of your dreams in an affordable, professional manner. 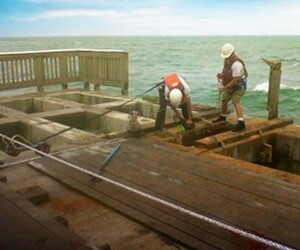 As one of the Florida East Coast’s largest, most diverse marine contractors, we offer a broad range of marine construction services including seawalls, retaining walls, marinas, piers, docks, decks, boat lifts, boat slips, boardwalks, dune crossovers, and beach pavilions. As part of our environmental mission, each job is completed with respect to the surrounding landscape and marine wildlife. The expert designers on staff at Custom Built Marine Construction (CBMC) will help you develop a visual concept of your project before building begins. Whether you need a seawall design, boathouse design, or deck design, CBMC will offer ideas for layout, dimensions, and materials before turning the project over to our engineers, who will see the project through to fruition making sure the appropriate materials are used and that construction meets all required codes to pass inspections and gain permits. 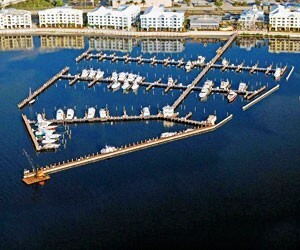 Florida marina construction ranges from building a marina with a great place to launch a boat to high-end luxury establishments with restaurants, showers, and areas to relax. Custom Built Marine Construction will work with you to build a marina that includes boat slips, docks, piers, and additional amenities required for you specific project. 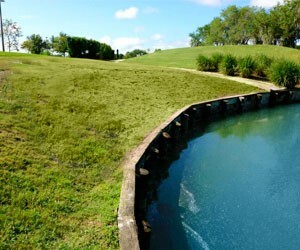 We assure quality work and customer satisfaction from design and permitting, to construction and clean-up. Properly constructed boathouses and boat lifts are essential for extending the life of watercraft. From jet-ski davits to commercial-grade lifts, we design, install, and repair the unit that best meets your needs. A boathouse design created with durable, environmentally-friendly materials is a valuable investment to protect your jet-ski, boat, or yacht, especially along the Florida Atlantic Coast, where hurricane and storm waters present unique challenges to watercraft. 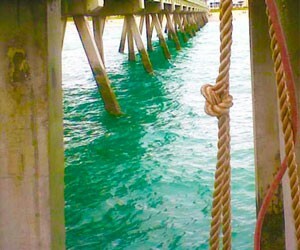 Custom Built Marine Construction are your local experts in Florida pier construction. 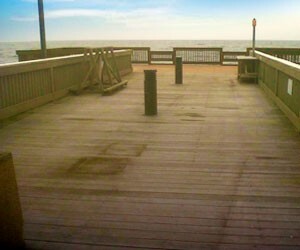 We take special care to build piers and docks with materials that suit environmental conditions, while staying within budget for our customers, accommodating the construction process with everything from design layout to choosing rails, posts, piers, and appropriate building materials to withstand the elements. 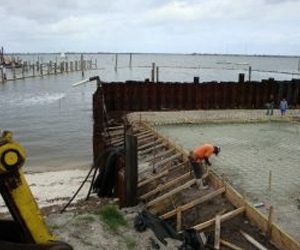 Marine construction of a seawall (bulkhead) requires quality materials, advanced technology, and experienced craftsmanship to prevent erosion and withstand strong winds and high waves. When planning the construction of a seawall or retaining wall, several permitting agencies will need to be contacted – Custom Built Marine Construction will take care of all permitting needs and help you through the entire building process. A well-constructed deck can turn underutilized land into a pleasant outdoor living space and even increase the square footage of your house by adding a working platform over water. From freestanding decks to patio decks secured directly to a building, CBMC will work with you from the design phase onward to build the deck that improves your lifestyle.